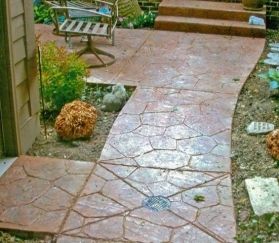 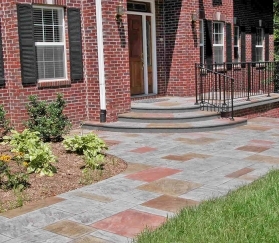 A stamped concrete sidewalk is bound to impress visitors to your home or business. 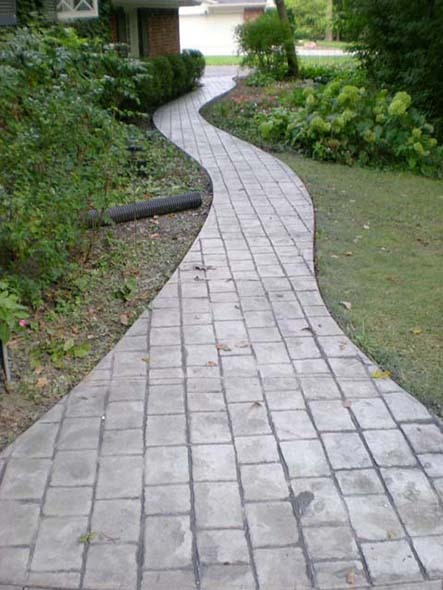 Instead of simply trudging up a boring gray slab of concrete, they may imagine that they’re strolling along a welcoming garden path! 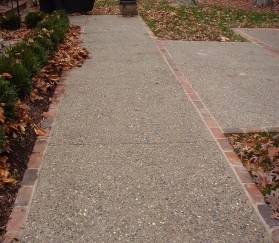 The decorative concrete sidewalks, steps and entryways pictured below were all designed and installed by members of the Indiana Decorative Concrete Network. 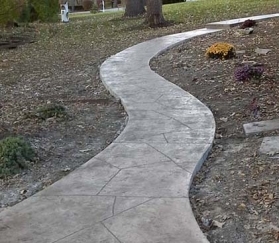 These Indianapolis area concrete contractors have years of experience installing stamped concrete, stenciled concrete, acid stained concrete, concrete overlayments, and concrete countertops all over Indianapolis, Central Indiana and beyond. 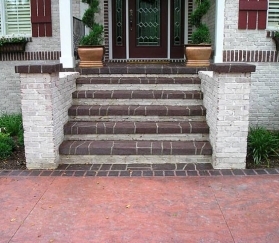 Go to the Find a Contractor page to see our list of preferred contractors.